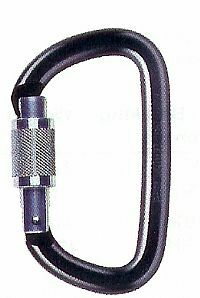 PETZL Am'D Screw Lock. Length 4.375". Outside Width 2.5". Gate Opening 0.82". Minimum Breaking 6,294 lbf. Made in France.